I don’t have a deep fryer at home and buffalo wings make me feel guilty enough so these baked buffalo wings were a good trade off. 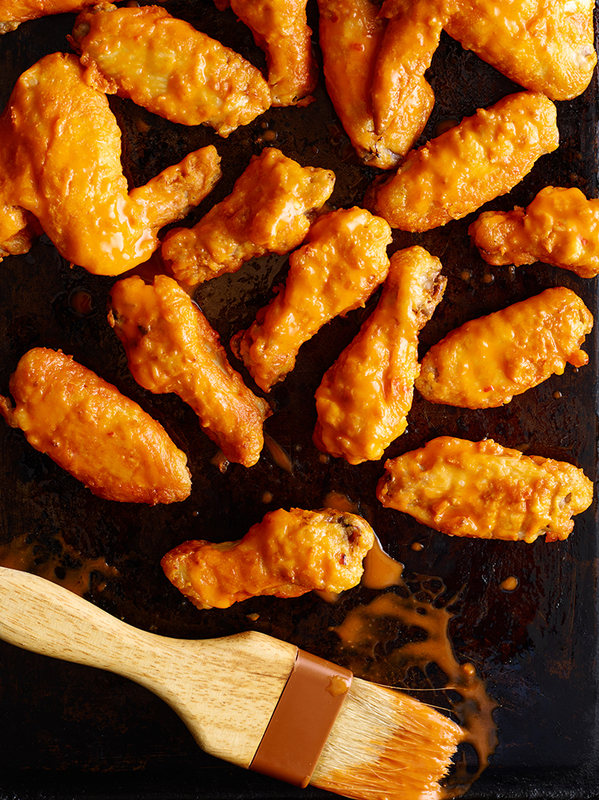 I was really craving the buffalo style wings with that real orange sauce so this recipe I didn’t need to add to much extra butter. You can buy this style sauce at any supermarket, it’s usually next to the Frank’s Red Hot Sauce which also offers an awesome wing recipe on the bottle. *I also had a grate between the foiled pan and the wings just so they could get a little crispier. Place all ingredients in a double boiler and stir until chocolate is melted. Whisk works well. Allow the mixture to cool. Cover the bowl with plastic wrap and refrigerator for about 2-3 hours until firm. Using a cookie scoop, scoop the chocolate mixture ( approx. 1 inch scoops) and roll into a ball. Then with your choice of topping roll in that. Immediately place each ball onto a square of plastic wrap. For Gifting: Wrap up each ball with plastic wrap to seal. Place balls in a freezer bag and freeze until ready to use. To Make Hot Chocolate: 1 cup of milk into a microwave-safe mug (or in saucepan to heat). Carefully drop two unwrapped hot chocolate truffles into the milk. Stir for 30 seconds to 1 minute until the truffles dissolve into the milk. Serve warm!